If you have never benefited from owning your own business, take our Entrepreneur Test to see if you have what it takes to be successful working for yourself. 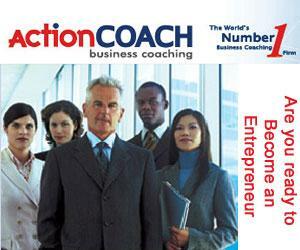 Then take our free coach test to find out how fast you would succeed as an ActionCOACH. Or, download our whitepaper on the "28 Most Common Questions about Becoming a Business Coach?" You can also join ActionCOACH Founder and Chairman Brad Sugars on a free webcast to see why having a business coach is essential for business owners today. If you prefer you can just download a pdf copy of our brochure which goes into detail about the steps to take to join our team. Or, join a live call where everyone looking at the ActionCOACH business opportunity can ask questions of Brad Sugars directly. The spaces on this monthly call fill fast so make sure you register your interest today.